The moment is ripe for the United States to double down on efforts to build a stronger relationship with Mexico for the longer term. Serious short-term problems need to be managed in a way that solidifies cooperation for the years ahead. On Saturday, Mexico’s new President Andres Manuel Lopez Obrador (AMLO), takes office for six years. He will also control both chambers of Mexico’s Congress. AMLO wants to focus on the “transformation” of Mexico, and major domestic reforms are the top priorities. Therefore, since the United States is by far the country with the biggest day-to-day impact on Mexico, AMLO and his team are intent on maintaining good relations and avoiding any blow-up. However, AMLO must tread carefully, as most Mexicans, including in his own coalition, are very critical of the U.S. approach to Mexico, the North American Free Trade Agreement (NAFTA) and especially migration and the border. These concerns led Mexico’s Senate to call for ending cooperation with the U.S. on migration and security earlier in 2018. 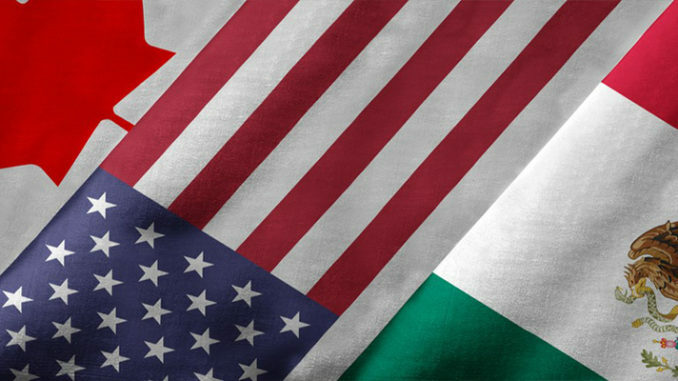 The U.S., Mexico and Canada will sign a new North America trade agreement on Friday at the Group of 20 (G20) summit in Argentina. This accord opens the door to bringing certainty to the massive commercial relationships across North America, as well as to growing all three economies. Realizing this, AMLO firmly supported reaching agreement before he took office. His representative in the trade talks, Jesus Seade, will be Mexico’s new under secretary for North America. The U.S. is Mexico’s largest market, buying some 80 percent of its exports, and some 5 million U.S. jobs are supported by trade with Mexico as the U.S.’ second-largest export market in the world. The incoming Mexican government hopes to work with the U.S. on long-term solutions to the flow of migrants from Central America. AMLO offered cooperation to spur economic development and security as part of the solution in his early communications with President Trump. He continues to send that message despite the most recent turmoil surrounding Central American migrants. AMLO and his team are also launching a multi-pronged effort to tackle Mexico’s soaring violence and crime. It is very much in the U.S. interest that Mexico’s strategy succeed and that both countries continue to improve cooperation against cross-border crime. The massive illegal trade in drugs, people, money and guns harms both countries. Senior officials from the two governments will sit down together on Sunday and Monday to start discussing some of the most pressing issues, particularly around migrants at the border. The near-term crisis of Central American migrants near Tijuana must be tackled. Officials on both sides are grateful that no serious injuries occurred when some migrants rushed the border, but steps are clearly needed to reduce the risk of another such incident and to deal with the large number of migrants still waiting in Baja California and elsewhere in Mexico, as well as with the phenomenon of large caravans heading north from Central America. The big win, however, would be in forging a longer term set of collaborative actions to tackle the challenges of migration from Central America. This would be via a layered approach that deals with the root problems in the migrant’s home countries, with the weaknesses in managing and caring for migrants inside Mexico and with steps at or near the border. Solutions will demand actions and investments by both countries, including, for example, in the way the U.S. staffs and manages asylum cases (which will take U.S. funding as well as regulatory/legal changes and could be part of strengthening the border). Improved U.S. assistance to Central America and Mexico, including aid and investment to help generate jobs as AMLO and his foreign minister Marcelo Ebrard have suggested, should be key elements of a way ahead. Mexico needs to significantly improve its policies, staffing and actions regarding migrants, asylum and border management. No set of solutions will be easy or quick, but agreeing on solutions to the immediate border/caravan crisis in a manner that opens the door to wider, longer-term collaboration and to building trust will be of much more benefit to the U.S. than proceeding with the threats of shutting down the border. Shutting down the border would cause tremendous damage in the U.S. and Mexico and would harm prospects for future cooperation by deepening Mexican popular anxieties about the United States. A million legal border crossings take place each day and $1 million of trade takes place each minute between the U.S. and Mexico. Closing the border would immediately impact millions of Americans and Mexicans in border communities who cross between the two countries as part of their daily routines, as well as the companies and farmers who rely on cross-border commerce by truck and train. A broad border closing could quickly cost the U.S. billions of dollars. U.S homeland security officials say they hope to find the new Mexican team open to picking up the dialogue and acting on ideas already on the table. The U.S. and Mexico have been exploring new proposals over the last year, including informally in recent weeks with the AMLO team. These U.S. officials know how important a good long-term collaboration is given the push and pull factors sending hundreds of thousands of Central Americans northward each year in search of security and jobs. Simultaneously, the U.S. and Mexico should get off to rapid start in reviewing U.S.-Mexico cooperation against crime, which has deepened since 2007 under the umbrella of the Merida Initiative. Given the massive flows of illegal drugs northward and of illegal funds and guns southward across the border, it is in the national interest of both countries to improve that collaboration. Bilateral cooperation will need to reflect AMLO’s new multi-pronged approach to solving Mexico’s soaring violence and to learn the lessons of what worked and what did not work in a decade of U.S.-Mexico collaboration. 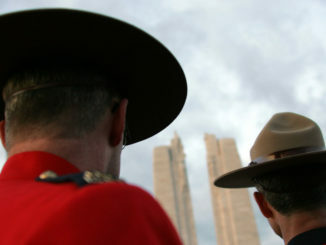 Both countries would suffer from a suspension of anti-crime cooperation, however, as happened following Mexico’s presidential transition six years ago. Considering the prospects for making trade and daily commerce more efficient and competitive under the new trade agreement, this moment is ripe with prospects for big benefits for both Mexico and the United States. We need a wise approach now from both sides to turn these opportunities into realities.